In our last post, we about talked the different forms of periodontal disease that exist and how Dr. Jill Wadeof Stonebriar Smile Designcan help her Frisco-area patients. Today we’d like to showcase a couple of tools that are helping with that. 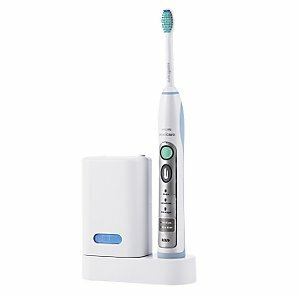 The first is a high-powered toothbrush from Sonicare. With a Sonicaretoothbrush it has never been easier to give your smile the thorough cleansing it needs at least twice day. Sonicarelets patients remove more plaque from their teeth, resulting in a cleaner, brighter smile. What’s more, Sonicareuses a timer to help you patients brush for the recommended two minutes that should be spent brushing. The second tool is Airfloss, another product from Sonicare. As with their toothbrush, Airfloss is designed to improve on the results you can achieve with manual care. But instead of using physical dental floss to clean between teeth, Airfloss uses a powerful stream of air that cleans more thoroughly. Both of these great tools can be purchased from Dr. Wade through her Frisco dental office. Using them every day, you can keep your smile in tip-top shape in between regular visit and cleanings. To find out how you can purchases these great tools, call Stonebriar Smile Design. Dr. Wade and her teamwould be happy to help you. We proudly serve patients from Frisco, Plano, Allen, Dallas, The Colony, and surrounding areas.